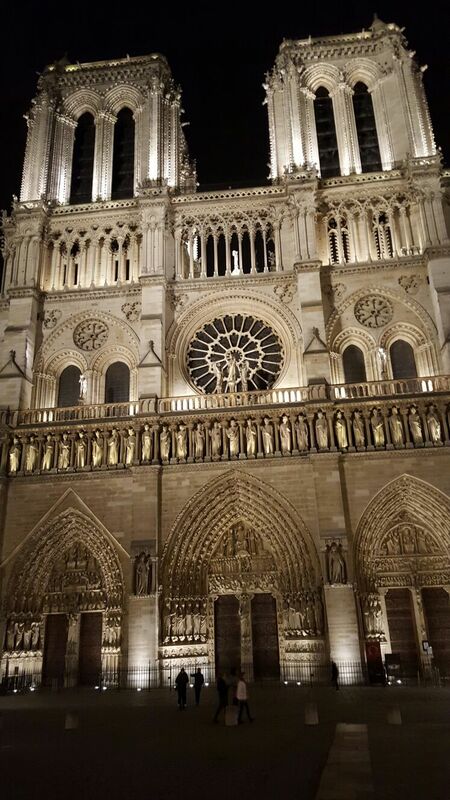 Notre dam is an iconic must see, its first stone was put down in 1163 and 170 years later its structure was complete. If visiting during the day the crowds can be overwhelming. To enter is free but brace yourself for a long queue outside. This said, it goes pretty fast as time flies admiring the ornate architecture. Once you reach the entrance you will hear irritating announcements telling you to be quiet. The automated voice its self is much louder than all the whispers you may hear. Walking around inside is some what tricky as all the tourists will suffocate you. 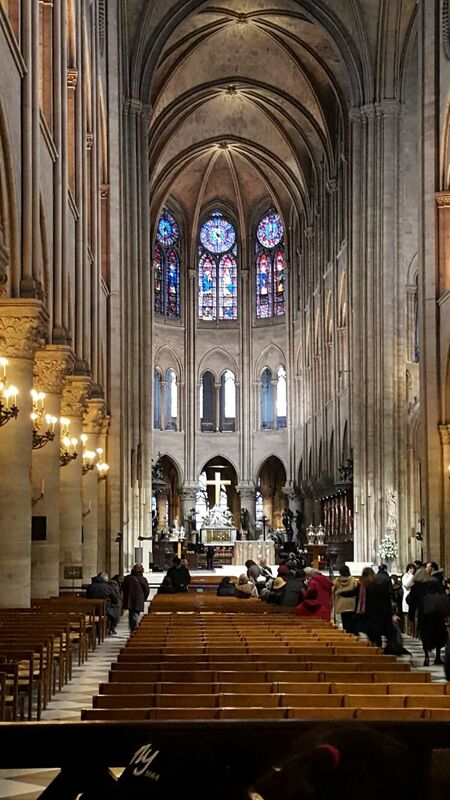 On finally finding a spot where you can take in your surrounding without being pushed by a fellow visitor you will see colourful stain glass windows, incredible arches and beautiful religious art work. After the initial bombardment from all the people,the structurally stunning and artistically unique Notre Dan can be appreciated. By night, the crowds will have cleared, so you can quietly view the building phenomenally lit up. 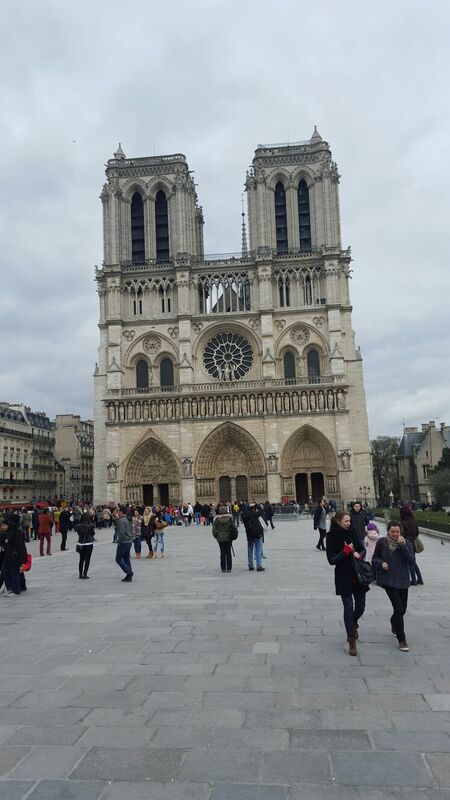 Stand on one of the stone beaches outside and take a picture of the grand Cathedral noting the 90 meter high spire. A very short walk from Notre Dam is the Louvre museum. This spectacular building is outstanding. The old architecture is extremely impressive and holds an interesting history. It was built in 1190 as a fortress to protect Paris against Viking raids. Ever since a series of kings and emperors improved the building by expanding it. Today the most recent change is the addition of a glass pyramid in the center of the courtyard. This modern addition is a fantastic contrast to the ancient, grand, detailed surrounding buildings. One can easily spend a week exploring the Louvre. There are countless exhibitions to see. Of course the Louvre hosts the famous Mona Lisa painting which constantly has a gathering of people around it (6 million people a year). The painting itself is behind a thick, glass, bullet proof panel. The renascence artist – Leonardo da Vinci, was by no means the best of his era. So why is the Mona Lisa painting so world renowned? After some research I have found a few answers none of which help me understand the paintings extortionate value of $787 million dollars. Some have said the painting is so special because of Mona’s smile, which is unique and special, confusing the likes of Freud. Maybe we should all pose with awkward smiles more often for photographs in the hope of making masterpieces. Other reasons are because Mona Lisa is written about with profound ghostly beauty in Leondardo’s essay by Walter Pater in 1867. This descriptive, popular, well -written novel caused the promotion of the portrait. 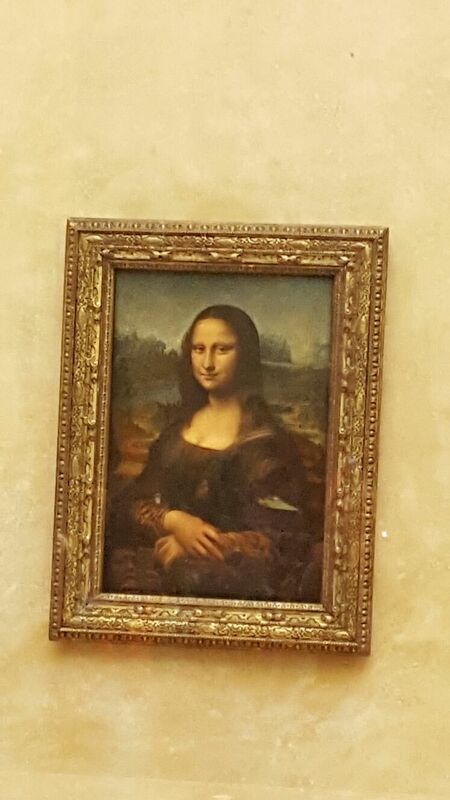 The painting was stolen from the Louvre in 1911 by an Italian employee. This only made the painting more sought after and brought it into the lime light. Two years later the painting was found and brought back to the Louvre. The The Da Vinci Code was written after the Mona Lisa painting was so famous – so this book had no effect on the value of the painting. Who exactly is this so called lady now known globally? There is infact no solid evidence of the existence of Mona Lisa in real life. It has been speculated that she could have been Leonardo’s mother, lover or indeed a make believe version of himself. What do you reckon, is it a bit much getting a bullet proof case for this small, modest painting of someone who’s existence in real life is debatable? It is worth going on a Wednesday evening as it is open late and will be less crowded. If you are under 25 and have ID you will get in for free (make sure to bring a drivers licence or passport). Bring a picnic – you can happily spend the whole day exploring all the museum has to offer so bring some snacks, food and a bottle of wine to share in the museum’s gardens. Chose some sections to focus on in detail. There is no way you will be able to see everything so pick and chose as you desire. Check online before you go about any shows, concerts or special exhibitions you fancy seeing.